As you know, a few weeks ago we added an automatic content detector system to Admob components, in order to guarantee a safe development environment. This system detected whether an app had sensitive content which may violate Admob policies, and prevents some account suspensions. However, some users reported lag when requesting to show ads in their apps. This was because the requests needed to be made to our servers to detect which kind of content the app contained. And today we gladly announce that this lag is gone! This new method is hosted inside Kodular Account (/cpanel/creator/admob), and there you can see all your apps, and their Admob status. Most of them are self explanatory, but there’s something important to say between rejected and blocked: rejected means that your app doesn’t qualify for Admob, but you can still make a few changes to get it approved, and blocked means that it will never display Admob ads (probably due to the kind of content on it). If your app is currently published on Google Play Store, or you plan to publish it in the future, please DO NOT REQUEST APPROVALS, as that system is ONLY for distribution outside that store (apps installed from Play Store can display ads without restrictions). After you send the form, we will manually review your app, and decide whether or not it qualifies to show ads. If it is not approved, you will not get any message from us, but you may open a topic in the community in #kreatorcamp:ads category asking for help. If we approve your app, take into account that we will often review your app without any prior notification, and if we detect any kind of Admob guidelines violation, we will reject or block your app from showing ads. We just want to provide a platform which meets with all policies of the services we have collaborated with, so this kind of measure is required. From now on, you won’t have to wait 10 seconds or so to get your ads ready to show, they will load instantly. 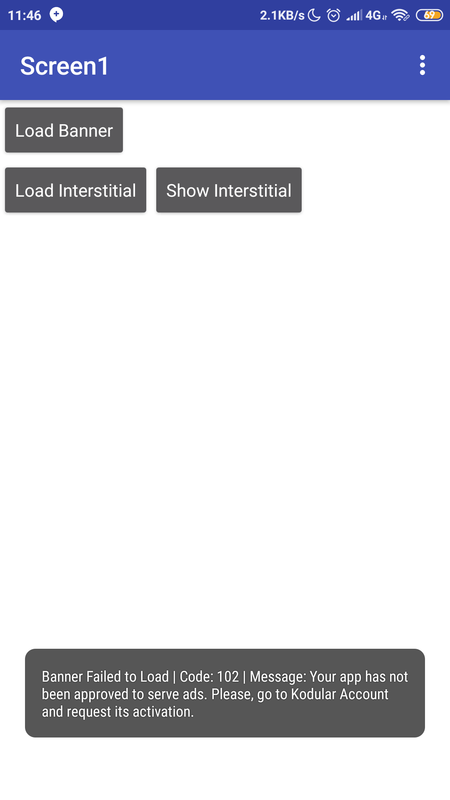 I upload my app on play store yesterday but ads do not load... why? 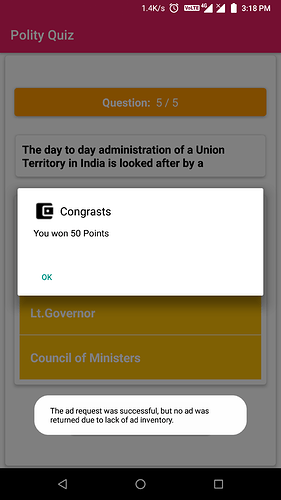 Admob approval system is working great. My app has been proved in one day. I want to know that will i recieve admob ads now? Yeah, you can freely add them, and they will work! It was one of the major problem for developers. ¿cuanto tarda la aprobacion de la aplicacion para los anuncios de admob ? I got approved my app for serving ads from modular team but ads still not showing. When I check ads in test mode they are working very well. But in final app ads not showing. Please any suggestions. Use blocks when ad not loaded or failed to show ads. I got this message. Thanks for your suggestions. But can you give me some tips for it.